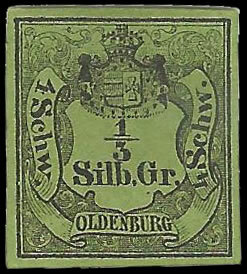 OLDENBURG 1852 No 1, 1/3 Silber Groschen black on green paper, full margined example in unused condition. Fresh bright colour. A rare stamp to find in perfect quality. 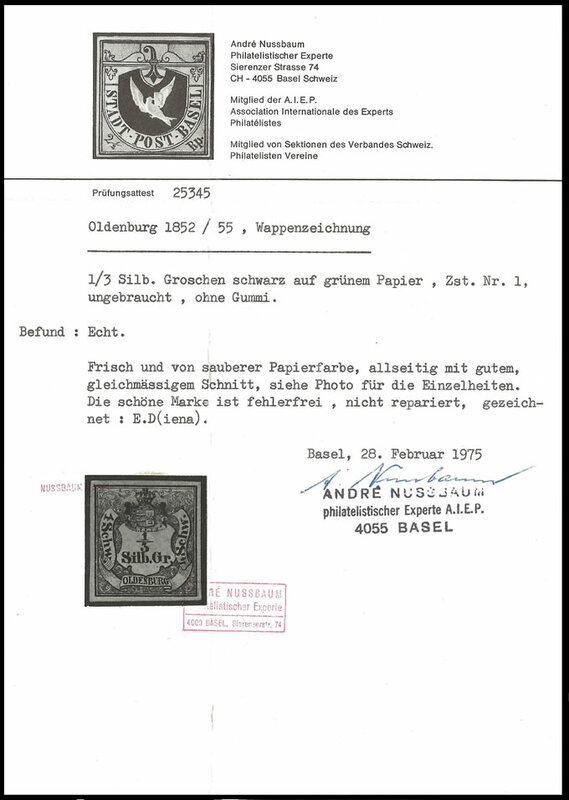 Photo-cert: Nussbaum; Signed: E Diena.